I always loved Aunt Rosamund’s enthusiasm for gathering the family round to “have a proper catchup”. Summer, in particular, is a busy time when friends and family gather outside to enjoy the great weather this season brings. There are special gatherings in Britain and across Europe today, marking First World War Centenary. Follow BBC for news on events marking this day, including a blackout across the UK. As you recall, the Grantham family learned the news the old fashioned way (by telegram) at their annual garden party at the end of Season 1 of Downton. 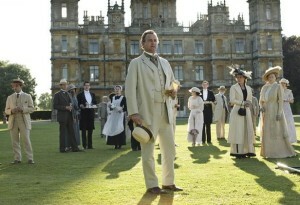 Even Highclere Castle, where Downton is filmed, held a commemorative football match. The game was in honour of those brave soldiers who stepped aside from the horrors of the First World War to call a truce and united, momentarily, through their shared passion and love of football. On a lighter note, it has been a busy summer for most. Our annual family fishing trip to Northern BC did yield freezers full of wild salmon and halibut. Out on the ocean there is no fish waste. Salmon entrails and heads are used as bait for halibut, or a treat for the eagles. So when we got home and carefully portioned and froze the halibut, I tossed the remaining scraps into the stock pot to make today‘s dish, fish stock. Stay tuned for more fish recipes. 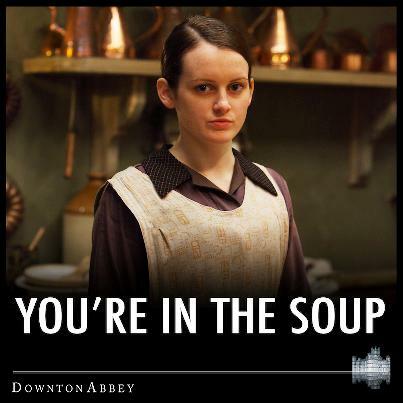 Downton Season 5 countdown: It is official PBS broadcast starts January 4. 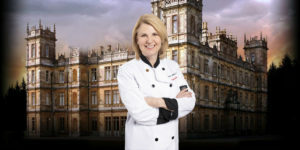 Would you pay $17k for one night to stay at Downton? Check out Christie’s online auction. Downton meets Hogwarts: Alnwick Castle gets a cameo in Season 5. 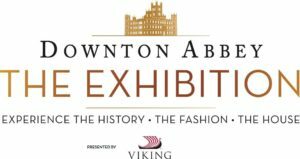 The Season of the Dowager? : What we learn about Violet. Poor Edith. Will her luck change in Season 5?. 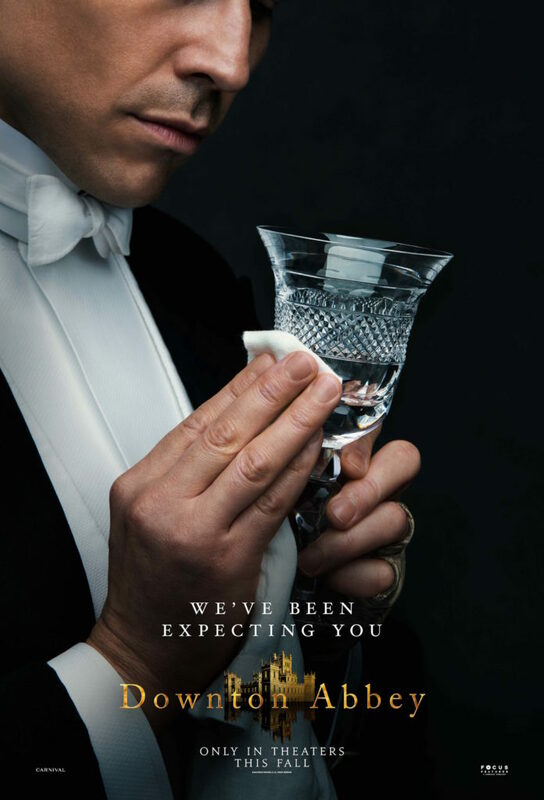 Will Tom leave Downton? Allen Leech drops some hints about Tom in Season 5. No surprise to us that Downton has a huge fan base, and more Emmy noms. Variety covers the phenomen. Who is your favorite character? TVShowtime was kind enough to create a chart for us. No surprise the Dowager has been a fan favorite since Season 1. 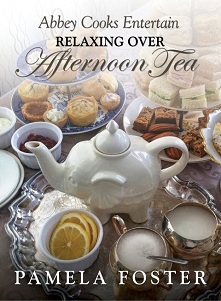 Garden party season is here and I have a whole section of my book dedicated to having tea outside. 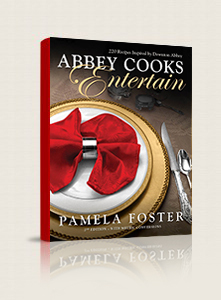 With 220 traditional Downton era recipes with a modern twist, this is a great book to create some simple or complex dishes for your Mary or Anna. 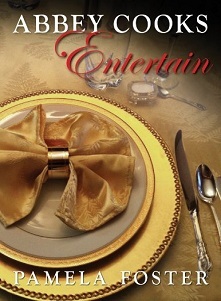 This 432 page ebook sells for $7.95. 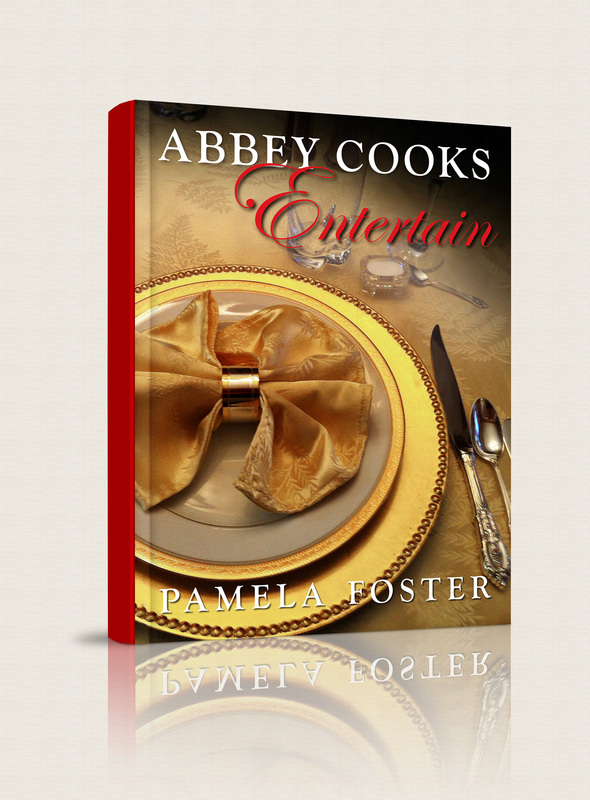 Book sales help offset my costs in food, equipment and time to keep bringing you new dishes each week. While the book is available on Amazon, you can only get a signed copy here on my site. If you don’t have an eReader I would suggest the PDF version which allows you to print recipes as you go, if you wish. Buy one for yourself, gift to another. All you have to do is email the download link to your loved ones. Fish stock is best made with white fish. Luckily we had a whole mess of halibut for the stock pot. 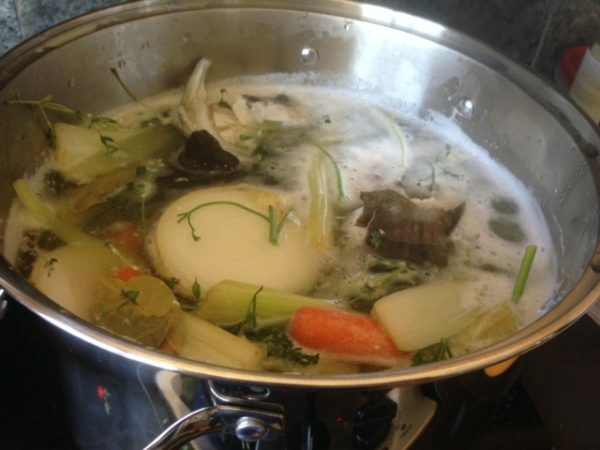 Stay tuned for some great recipes using fish stock. In a large stockpot, combine the fish bones, white wine, and just enough water to cover. Bring to a boil, and start skimming the white foam from the top of the stock. Once it has come to a boil, reduce the heat to simmer. Add the rest of the ingredients, adding more water to ensure all ingredients are covered. Simmer gently for 20 minutes. Remove from the stove and let sit 20 minutes. Strain through a fine-mesh strainer and lightly season. You can use the stock right away in your favorite soup, or chill quickly, cover, and refrigerate. 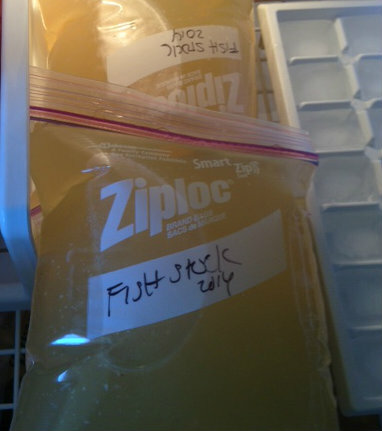 The stock will keep 3 or 4 days, or measure into Ziploc bags (which help save space) and freeze.